Back not so long ago, after I was technically “grown up” (yeah right, as if that’ll ever happen), my buddy Bernard had a Sega Genesis. Like a lot of things in rural Newfoundland of the like, it didn’t necessarily have a steady place in any home though, as it was always borrowed by somebody, lots of times that somebody being me. My favorite game on it was called Landstalker, an RPG that I played for hours, and cursed the zone known as Greenmaze over and over. This was before the internet, and figuring out how to play and finish the game was done all by yourself or with friends. But the best memories of playing the Genesis were over at my cousin and friend Derek’s house. 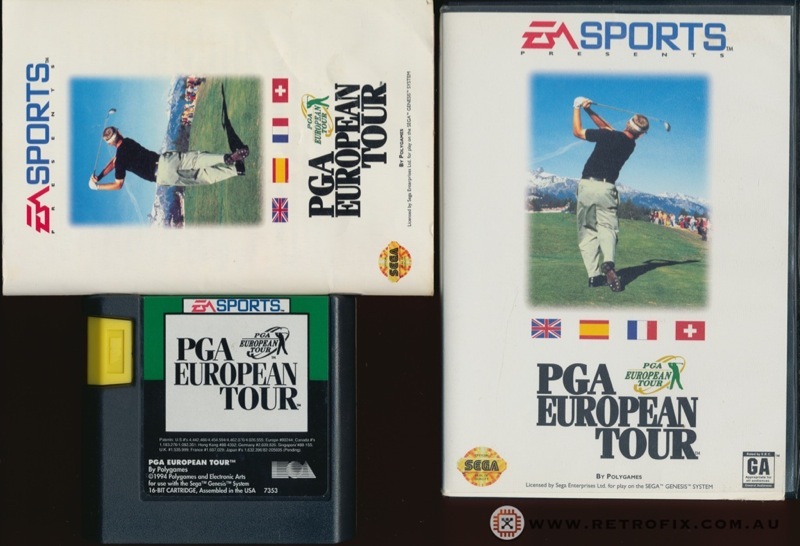 We’d have it hooked up to the old floor model TV, and a group of us would take turns playing PGA European Tour Golf. Usually it was Derek, Eric, Cory Avery and I, and we’d play for hours. But the thing I remember most, other than Derek tilting the controller trying to make the ball turn, is Cory’s exclamations. “Look at him swizzle that one in there!”, “Watch me swizzle this one boys!”. It became part of our vocabulary (reminds me, will have to tell you about the word “git” sometime) from then on, anytime we’d try to make something work, or fit, or really even go somewhere, we were swizzling it. Would be fun to have it hooked up now and share a beer with the boys and try to swizzle a few shots in! Hahaha…..yeah i certainly remember the old swizzle……..many hours spent playing that golf game….good memory!